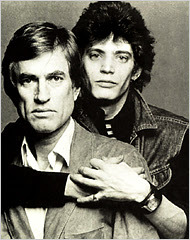 I had the pleasure of viewing a Mapplethorpe exhibit in Boston, around 1988. During that time, I read a review of the exhibit, by Ctein, in "Darkroom Photography." A few years later I was actually exchanging messages with Ctein, on CompuServe Photoforum. Who would have thunk it. I didn't even own a computer in 1988.